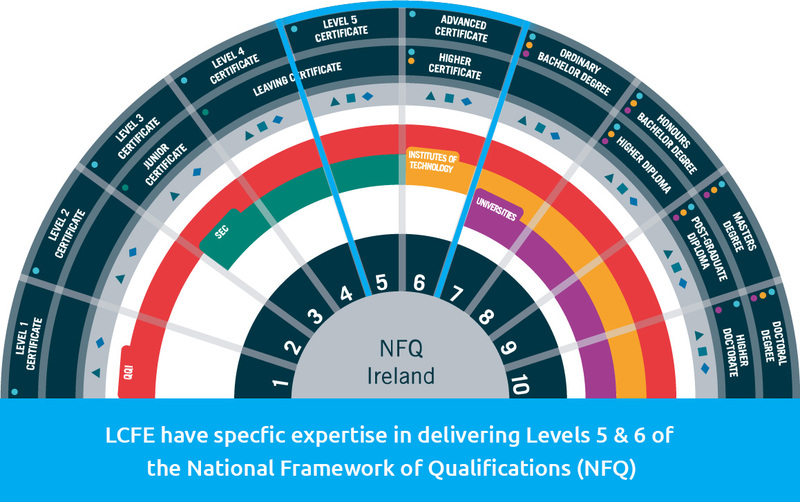 All QQI Awards have been placed on the National Framework of Qualifications. It is easy to see at a glance where the Award you wish to pursue stands on the 10-Level Framework. QQI is devising a new “Awards Plan” which will lead to the migration of existing awards standards and also, the development of new Award areas to the Common Awards System (CAS). Currently, the process is an on-going one. All QQI programme content information in this Prospectus is correct at the time of going to press. 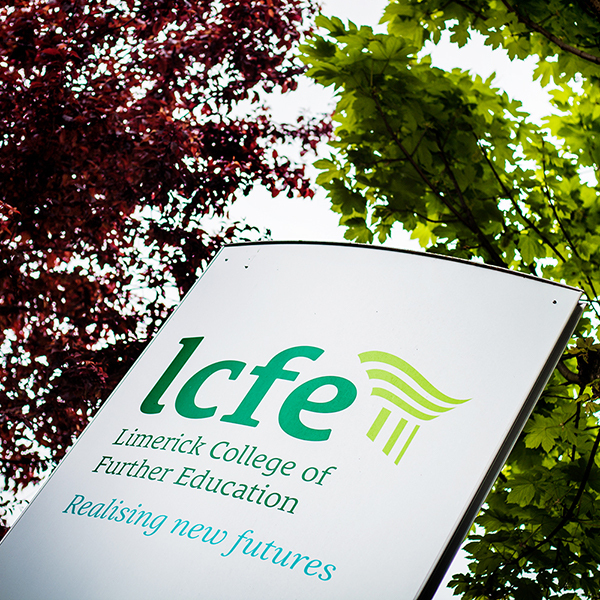 Limerick College of Further Education accepts no responsibility for any changes which occur and affect any existing programmes. Note: Progression to Universities and other Colleges from QQI programmes is possible through the Higher Education Links Scheme (HELS). For entry into Institutes of Technology from September 2017, all QQI level 5 and QQI level 6 awards will be scored to deliver a maximum of 390 CAO points. Scoring: A minimum of 120 credits must be presented. Points will only be calculated if the required awards and /or modules are presented. Starting with Distinctions, then Merits, then Passes, add all the credits until a cumulative value of 120 is reached. Ignore any credits above 120. For the credits that you are including, multiply the credit value by the grade weighting, i.e. multiply by 3 in the case of a Distinction, by 2 in the case of a Merit, by 1 in the case of a Pass. Add these scores. Multiply the total by 13, then divide the answer by 12. If you get a decimal place, round your result to the nearest whole number. Learners are eligible for consideration for entry to Nursing programmes when they achieve the QQI Level 5 Award DCHSN/5M4349 (Nursing Studies), DCHSX/5M4468 (Community and Health Services) or DHSXX/5M4339 (Health Care Support) and obtain a Distinction in 5 modules in the QQI Level 5 programme, which must include a Distinction in D20001/5N0749 (Anatomy and Physiology), D20012/5N4325 (Nursing Theory & Practice) and D20032/5N0749 (Human Growth and Development of or D20006/5N2746 (Biology). A quota of reserved places are allocated to applicants presenting with QQI qualifications. Places are allocated on a competitive basis. The best eight modules, at a single sitting, are considered for scoring purposes. A large number of higher education institutions including Universities, Institutes of Technology and private 3rd Level Colleges offer places to QQI CAO applicants. In addition to the Higher Education Links Scheme (HELS), which links specific QQI Level 5 Certificates and some Level 6 Advanced Certificates to a number of reserved places on higher education programmes, the Institutes of Technology and some higher education institutions operate admissions criteria and scoring system for non-specific QQI Levels 5 and 6 Certificate applicants. Note: Applicants are advised at all times to confirm linked Awards, any additional module requirements, application processes and scoring systems with the Admissions Offices of the participating higher education institutions, or visit www.cao.ie. All information relating to linked programmes has been provided by the participating higher education institutions and every effort has been made to ensure that it is accurate and up to date. Further information may be obtained from the CAO website (www.cao.ie) or the QQI website (www.qqi.ie). LCFE and LIT have signed a new collaboration agreement offering seamless student progression from LCFE to LIT. Learners successfully completing QQI/FETAC Certificate Level 5 with LCFE will be offered entry to LIT programmes based on this collaboration agreement. Learners who achieve a major award at level 5, and apply through CAO for a programme of study at LIT, are guaranteed access to any Level 6 or Level 7 programme. Level 8 programmes require a major award with 3 Distinctions. Please note for Restricted courses at LIT, the portfolio conditions must still be met. This is a Pilot scheme and will be reviewed annually. Learners who complete Advanced Certification Level 6 with LCFE may apply for advanced entry straight into second year for linked programmes. A bilateral agreement exists between LCFE and Mary Immaculate College, offering graduates of the college’s four designated media programmes the opportunity to apply through CAO for entry to the BA (Hons) in Liberal Arts (MI004). To gain entry to the Liberal Arts Programme, LCFE learners must gain a full award with four Distinctions from a prescribed list of modules. This agreement is subject to review on an annual basis.